The skin is ever-evolving and from time to time, you may need to change your skincare routine. Generally, an at-home routine doesn’t require a complete overhaul, but a few tweaks here and there might benefit your skin greatly. 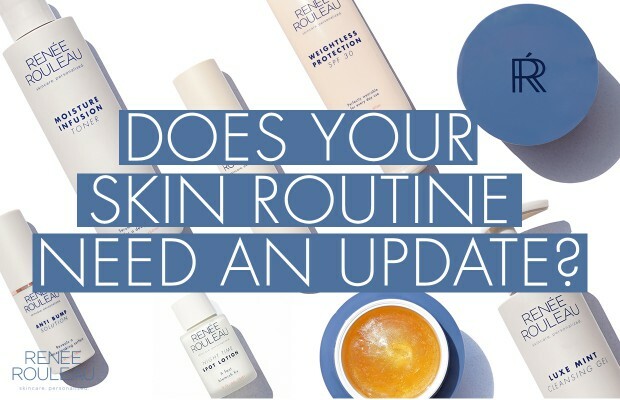 Here’s how to know if your skincare routine needs an update. Your skin is acting more sensitive than usual. Sometimes, for no apparent reason, the skin can start to act more sensitive. The underlying cause of most sensitivity issues comes from your skin’s barrier getting compromised and damaged. The easiest fix is to switch to a reparative, fragrance-free moisturizer that is specifically formulated to correct the signs of sensitive skin. My go-to cream (and the one I suggest for my clients) is Phytolipid Comfort Creme. Using something like this a few nights a week in place of your regular moisturizer can quickly return your skin back to a calmer state. Read more about a damaged skin barrier and how to fix it. You’re not seeing any improvement from your current routine. Let me start with this. It’s important to understand that skin care products aren’t always the miracle workers we would like them to be. Sometimes the improvement you are seeking just can’t be found in a bottle. However, you should certainly be seeing some gradual changes in the skin. A smoother, smaller-pored texture is easy to attain with exfoliating products such as Pore + Wrinkle Perfecting Serum. Gradually fading the appearance of discoloration (brown spots) with a vitamin C serum like Vitamin C&E Treatment. It won’t happen overnight, but over time it should improve. Less frequent breakouts by using gentle, antibacterial treatments that don’t overdry the skin, yet still attack bad bacteria that causes blemishes. A great mask to see results for all types of breakouts is Rapid Response Detox Masque. If you’re just not seeing much movement and you’ve been using your skincare routine for a while, it might be time to change your skincare routine. Your skin is getting bumpy. The definition of “bumps” can vary but the ones that I’m referring to are what are known as closed comedones. You can see them in this photo. I see these more and more on people’s faces and I believe a big cause of these bumps are liquid makeup, smoothing primers used under foundation, cream blushes and the popularity of facial oils. A lot of people’s pores just can’t handle the oils, and closed comedones start to appear. An easy change is to omit facial oils, but if you really love your makeup look then change your skincare routine to ensure your pores are staying clean. 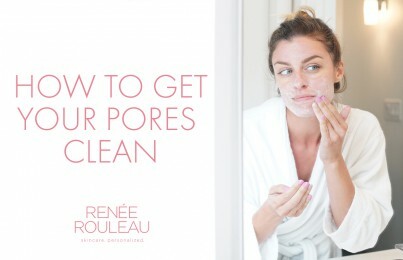 Pore-clearing products will generally have the ingredient salicylic acid, an oil-soluble exfoliating BHA (beta hydroxy acid) known for its ability to get into the pore lining to prevent blockages that lead to bumps and breakouts. Speaking of changing to products with salicylic acid, there is an exception. If you’re pregnant, your doctor may suggest avoiding using products with this ingredient, as well as skincare products that use retinol. Check with your doctor, but pregnancy may be a time when you’ll want to change your skincare routine. Aside from ingredients, pregnancy may bring about changes such as a discoloration condition referred to as ‘the mask of pregnancy’ as well as blemishes. If you’re experiencing hormonal changes, it’s time to change things up with your products to accommodate what your skin needs during this time. Your skin is starting to get blemishes. If breakouts are causing you trouble, it’s a good time to make some adjustments to your routine. My best recommendation is not to give your skin a total overhaul and switch to a full acne skin care routine. Meaning, if you’re an adult, the last thing you want to do is treat your skin like a teenager. I can assure you, your skin is far less oily than a teen’s skin is, so you don’t want to overdry it. This will completely throw your skin out of a healthy balance. You’re getting a little older and ready to kick things up a notch. There comes a time when you look in the mirror and feel like your skin care routine just isn’t cutting it. (For those over 40 like me, you certainly know what I mean!) A few additions can get your skin to behave in a younger way which in turn can make it appear that way, too. Wear sunscreen every single day of the year. Without doing this, any skin efforts aren’t going to deliver results if daylight is damaging your skin day in and day out. Weightless Protection SPF 30 is so lightweight and great for everyday use under makeup. Get smoother skin by committing to using an exfoliating serum a few times a week. Pro Results Power Serum is very effective for reducing the look of sun damage. Of course, you’ll want to choose your skin type to get the best exfoliating serum recommended for your skin’s unique needs. Start getting serious about caring for your neck. It will catch up with you if you don’t give it some skin love. Read my tips for getting rid of sun damage on the neck and chest. The seasons are changing and you’re feeling it in your skin. Lack of humidity in the air during winter can dramatically affect the way your skin looks and feels. When dryness and dehydration set in, the skin feels tight and uncomfortable, and fines lines on the face and under the eyes can be much more prominent. 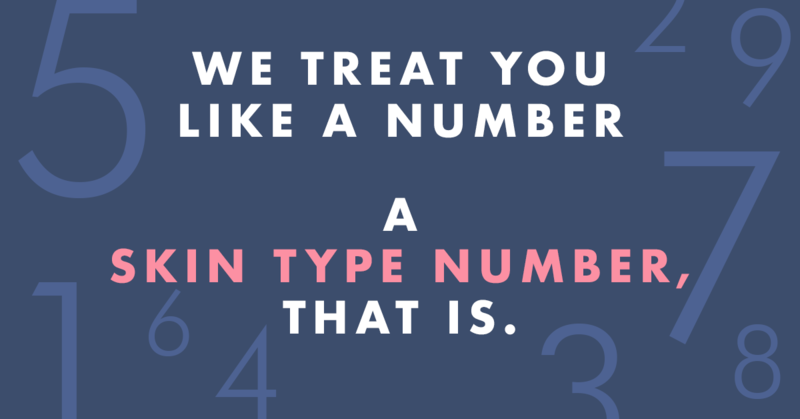 Take the skin type quiz to get products recommended for your skin type. On the flip, summer means an increase of oil due to heat and plenty of humidity in the air. It’s time to lighten things up a bit. You’ve moved to a new city and your skin starts behaving differently. From changes in water, climate, food, lifestyle, pollution and other undetectable factors, moving to a new city can definitely cause the skin to act differently. The simple solution is to listen to your skin and adjust your skin care accordingly. 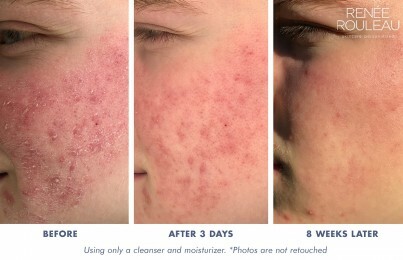 Alcohol-free toners are a great way to remove impure tap water if you suspect the water is taking a toll on your skin. You’ve been using the same routine for a long time. 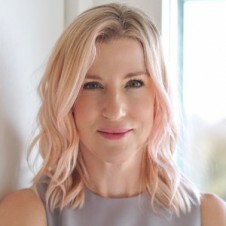 Some people get into the “if it’s not broken, don’t fix it” mindset with their routine—especially those with a history of acne. If you used to get breakouts and a line of products cleared it up, you don’t dare think of changing for fear that your breakouts will come back. For some people, this means they have been using their acne routine from their 20s all the way into their 40s! I’m here to tell you that most people outgrow acne. For the best results with your skin, it’s always important to use a skin care routine geared towards what your skin needs TODAY. If you’re stuck in a rut, I highly recommend you schedule a virtual consultation with an esthetician. We have experts that can guide you to the perfect routine. One of the most challenging types of skin to figure out is one that is inconsistent from week to week. This means adults with occasional breakouts. People have a hard time trying to find a balance between managing the occasional acne without overdrying the skin, and keeping it healthy and happy. Well, the good news is, we have skin types that address that very need. Skin types #2 and #4 do a really good job with that. For any type of skin, Rapid Response Detox Masque can help manage breakouts while being very hydrating and calming to sensitive skin. You’re simply bored with your routine. Almost everyone has an affinity towards anything new. A new product launch brings a lot of buzz and excitement, and it’s easy to fall into the trap of thinking that whatever is the latest, must be the greatest. Just because a product is new doesn’t necessarily mean it will work better than what you currently use. However, if you’re bored and want to spice things up, then try something new. I believe skin care should be fun, and experimentation is fun. It provides us with entertainment while making us feel good. Just be sure when introducing any new product, you follow these steps to prevent any potential problems. Looking for a simpler skincare regimen? Here’s the basic routine you should be following. In summary, the rule is: if your skin is changing, it’s time for a change. Be thoughtful of any changes you might make, and when in doubt, consult with a trusted skin care professional. 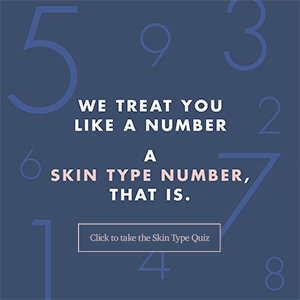 A good start is to take this Skin Type Quiz. I sincerely hope you found this post helpful! One last comment…have you fallen into the myth that your skin can get used to products and stop working? Read why this is simply untrue.